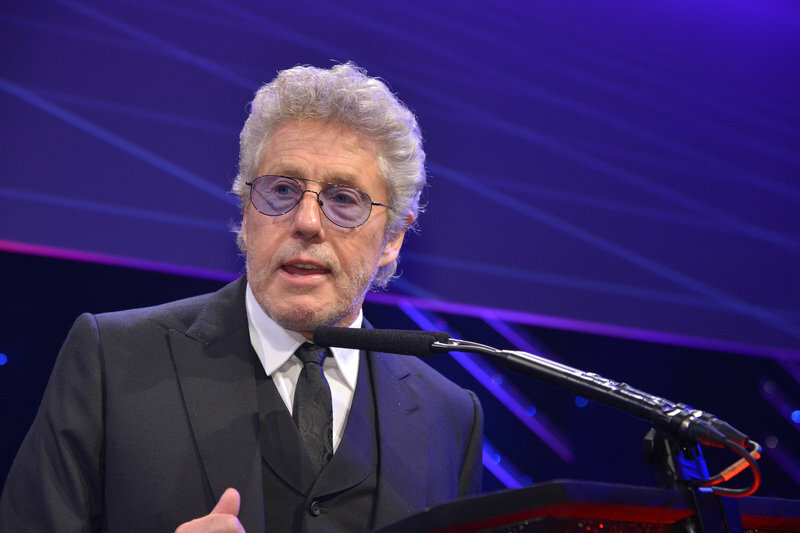 The excitement in the room was palpable last night when rock legend Roger Daltrey rocked up to announce this year’s Hall of Fame inductee: music and entertainment PR supremo Alan Edwards. The Who frontman was full of praise for Edwards, who has represented his band for years and continues to do so. "He’s really terrific," said Daltrey (pictured below) of the Outside Organisation founder. "This is so well deserved." The veteran singer alluded to Edwards’ dedication over the years, recalling how in the early days he would sleep on the couch in the office of his then boss, the legendary music PR man Keith Altham, "because he didn’t want to be late for work". Edwards has many protégés of his own now, of course. He highlighted one during his acceptance speech: Melissa Nathan, who, Edwards said, has moved to New York to mentor President Trump’s 28 year-old PR Hope Hicks. "I’m not sure I want to claim too much credit for that, but there we go," Edwards quipped. On a more serious note, Edwards reflected on the positive impact of public relations when he discussed the Outside Organisation’s work for the One Love concert in Manchester, which followed the Manchester Arena bombing in May. Edwards said that at a recent Stone Roses show, he was approached by a lady who thanked him for his work on One Love. It turns out she was in the Manchester Arena when the bomb exploded. "She said that concert gave us the strength and energy to come out, to get back out," Edwards recalled. "She said without that concert, we wouldn’t have been here today, we wouldn’t be able to carry on enjoying our lives. "I thought that little vignette illustrated just how much a power for good PR can be. We were so proud to be part of something so good." Flack agrees entirely. Well done, Alan. Here’s to many more years. Several family members and friends were there to see Alan Edwards’ induction into the Hall of Fame, among them GQ editor Dylan Jones. Given the PRWeek Awards clashed with the annual awards from music magazine Q, to have such cultural luminaries as Daltrey, Edwards and Jones is surely a testament to the showbiz pull of our industry, Flack thinks. Those shy, retiring petals at Talker Tailor Trouble Maker remained true to their promise to be creative with their outfits last night (the dress code, incidentally, was 'black tie with a splash of '80s', in tribute to the 30th anniversary of the PRWeek Awards). Flack understands not everything went to plan, however. 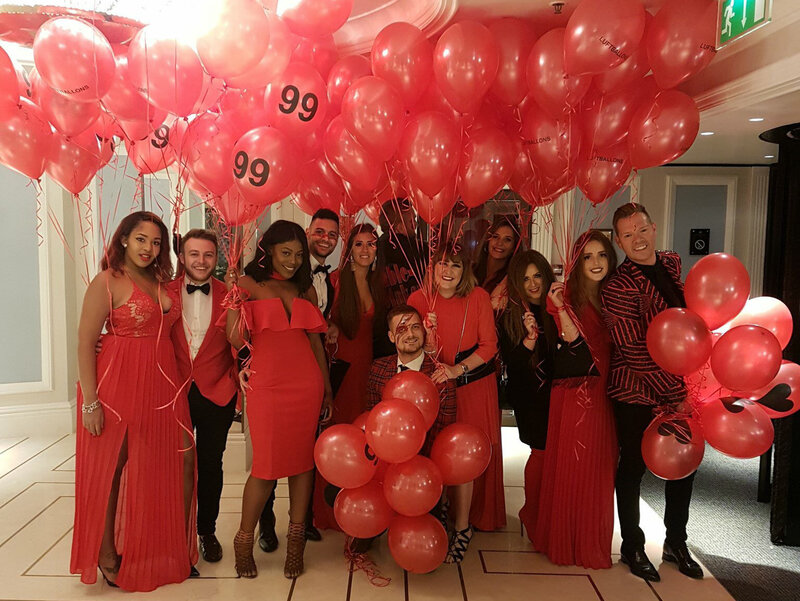 The team arrived carrying no fewer than 99 red balloons, in tribute to the famous 1980s power ballad by Nena. Unfortunately, the powers that be at The Grosvenor didn’t play ball(oon). The balloon-atics were barred from entering with their stash, which had to be released into the London sky. Still, congrats to Talker Tailor for being Highly Commended in the New Consultancy of the Year category. As the old adage goes: "Every cloud... now has a red balloon in it". The host for the evening was Canadian comic Katherine Ryan, who began by reflecting on something the industry does better than her. "I really envy you, because you are very skilled at maintaining relationships, and that is the opposite to what I am, I am so bad at relationships but people keep wanting to set me up. I feel like if I was this bad at anything else, my friends wouldn't do that - if I was a surgeon who killed every patient and managed to burn down the palliative care unit, no-one would be like 'when are you gonna get back in theatre, Katherine? '," she joked. She went on to comment that men are "like dolphins - in that they should be enjoyed on holiday, they're almost as smart as people, but that doesn't mean you should have one in the house", and called Melania Trump "an innocent gold-digger caught up in a dangerous game... her dreams of a better life in Slovenia did not include brunch with Philip May". Oh, and she made sure no winners got carried away on stage. "Acceptance speeches are not required - you can deliver those to yourselves, at your tables," she warned. Weber Shandwick may have blown apart the competition by winning five awards including Best Consultancy last night, but they came short in one area. While the agency got 22 people (as far as Flack can count) on stage to accept their top gong, this fell short of the nearly 30 who rushed to the platform when they picked up the same prize at PRWeek's Global Awards earlier this year. Flack also noted that among the Weber Shandwick crowd was George Coleman who, erm, doesn't work for Weber but for its sister firm Creation. 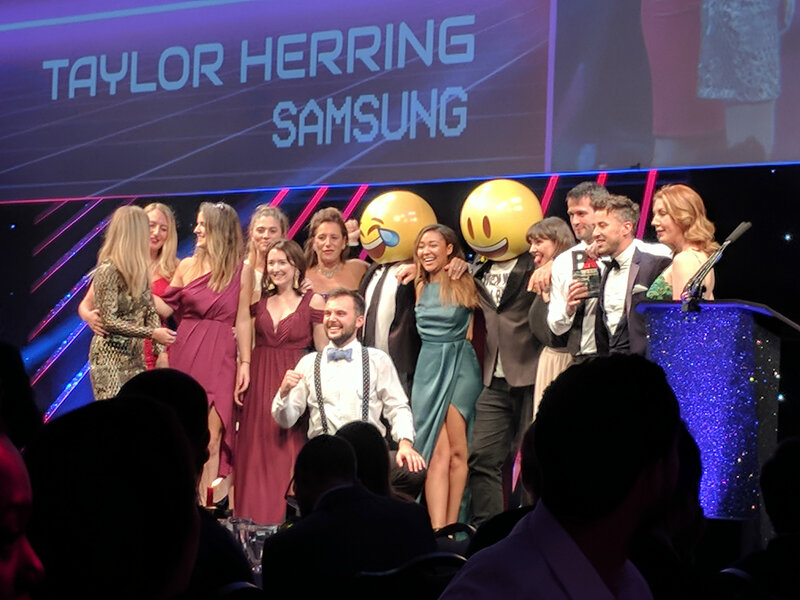 Separately, the most creative awards acceptance came from the guys and girls at Taylor Herring - or rather, 11 people and two emojis. In what must be one of the very last outings for the agency, a quartet of staff from the Engage division of Bell Pottinger made it to the awards, led by divisional MD James Thomlinson. Their work for the bank CYBG was shortlisted, and in turn highly commended in the financial services campaign category. The agency was on the receiving end of a few boos when it's name came up in PRWeek editor Danny Rogers' opening remarks - but Thomlinson shrugged this off with a smile. Elsewhere in defunct company news, the airline Monarch won the automative and transport campaign award for its 'The Power of Nice' work and received another high commendation. "Without you, Monarch would be nothing," chuckled one mischievous attendee. Monarch's comms boss, the Freuds veteran David Page, was in attendance - perhaps now relying on the power of networking to see what he can do next. Finally, bad luck to Hope&Glory, who received nine nominations but didn't go home with any metalware - although they did receive high commendations in the Small Consultancy category (winner: Incisive Health) and another campaign category.